As the fall season rolls in and you find yourself craving a warm cup of coffee and chocolate, or wanting to find gifts for your loved ones, make sure to stop by Market Path. 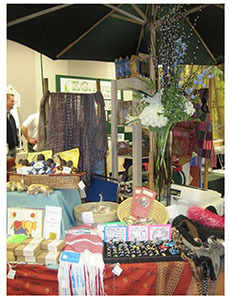 Celebrating their 5th year this November, Market Path, a local fair trade market, was started by First Grace United Church to help support justice works across the world. 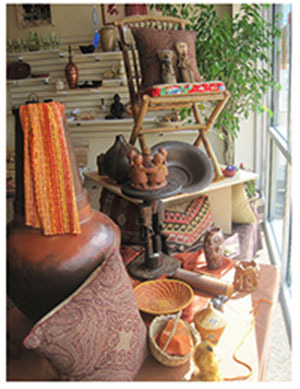 “They started the store as a social justice project to help alleviate poverty world-wide, which is what fair trade works to do,” Day Evans, Manager of Market Path, said. Most of their products come from South and Central America and Asian and African countries, but they also have items from Colorado, and even Akron, where many refugees have been settling. Displays of beautiful, vibrantly colored bags, Evans points out, were woven by a group of women living on Tallmadge Avenue, exiled from Bhutan. Their organization is known as “Woven in Exile”. “The king exiled everyone whose bloodline was not pure to Bhutan from 100 years back. The women’s ancestors happened to be from Nepal, so they were sent back to Nepal where they lived in refugee camps. We’re talking about tents without any running water or electricity,” Evans shared. The United Nations is now resettling these women in different locations – a major one just happens to be Akron. “The women are doing this amazing weaving, which they learned how to do in the refugee camps. It’s a beautiful, quality heirloom bag,” Evans said. 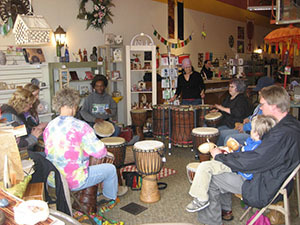 The store benefits women near and far, who are trying to bounce back from terrible situations. “These people are doing everything they can to help themselves and our part is important as well,” Evans said. “It’s a marketing model that honors the producer of the products. The products are handmade by artisans; more than 70% of them being women working in their homes where they can watch their children. They are living in very poverty stricken conditions,” she continued. This allows the artisan to set the price that they need to receive for the product in order to make any income. “Bringing their products to a larger market develops a sustainable market place or business for artisans who make their own things. For instance, in Europe fair trade is very popular – much more than in the states,” Evans said. What you will find in this little shop is a variety of wonders. Each gift is uniquely its own. They have fair trade coffee, chocolate and teas -their chocolate being the only farmer-owned chocolate company in the world. Divine Chocolate is a German chocolate company - its cocoa beans sourced from Ghana. There are no GMO materials, no palm oil and most importantly – no slave, child or orphan labor that goes into the production of these goods. “They are the only chocolate company that I know of that can claim any of those things. Every other chocolate company, including our most popular ones here in the States, has all those bad things against them,” Evans said. You can also find soothing Shea butter soaps from Ghana, which is the world’s largest source of Shea butter and where the Shea nut is grown. “Its hand churched like butter used to be churned. Women churn the Shea nuts and turn it into this beautiful Shea butter. They also make scented soaps which are really nice. It’s all natural (except for essential oils) and it’s very good for the skin and healing,” Evans said. In most foreign countries, everything is used, nothing is ever wasted. Products, such as the ones from Vietnam, are made out of common things that one would never even think of. “These bags are made from recycled water pouches which are used in Ghana, instead of water bottles,” Evans said, holding up a colorful bag by “Global Momma’s”. The bags are made up of recycled chocolate milk and juice bags. Most items come with not only a description of the product, but the artisan who made it. “We keep all of the (original) tags that come with the products. We like our customers to know as much about the products as possible – who made them and everything. We pride ourselves in knowing where they come from and sharing stories behind the products. Sometimes that becomes more meaningful than the beautiful product itself – knowing who made it, out of what, and why,” Evans said. 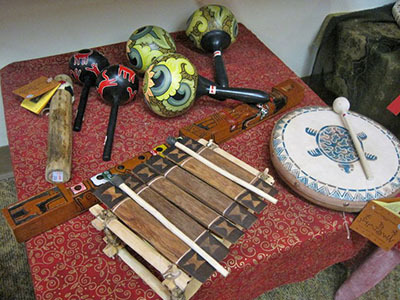 Evans believes that it’s so important to “tell the stories behind the products”. “This scarf wasn’t just made in a factory or by a machine. It was hand-loom woven. The craft of the people who do this kind of work day in and day out – they have a quality of excellence about their products that’s pretty amazing,” Evans said. 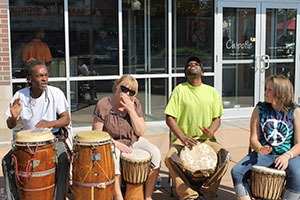 Local artistry is also welcomed. “These are posters from paintings of things that are meaningful to some of our developmentally disabled artisans here in Summit County,” Evans said, pointing up at colorful splashes of paintings decorating the walls. The artists of this work are from Summit County Developmental Disabilities. They also carry bags from the Harvest Home made by women who are a part of Lydia’s Purse – a program that empowers women by teaching them to sew and sell their own handbags. Every gift or item at Market Path has a purpose behind it that stretches further than just the item itself. 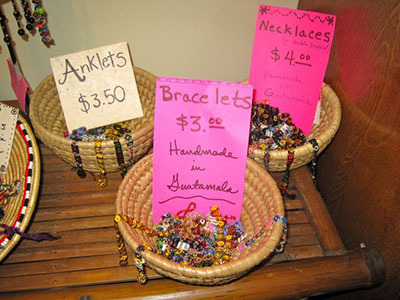 “Source of Life” brings Beautiful necklaces handmade out of paper beads made by women in Uganda, from recycled fliers. “The proceeds of the sales helps bring sanitation in the form of fresh water and bathrooms to the slums of Uganda where the women who live there are trying to make a living,” Evans said. This has also given more local women who are working through rehab, coming out of prison, or unemployed single moms who need job skills or a place to work, a place to sell their work. 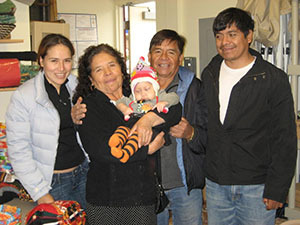 “People come in here and can immediately feel good energy when they walk into the store. The loving spirit of the people who hand make our products carries through to the products that they make and it’s prevalent in the store,” Evans said. The store is opened Wednesday, Thursday, Friday and Saturday. Check their website for hours and more info. 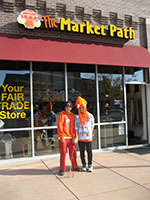 www.themarketpath.com.